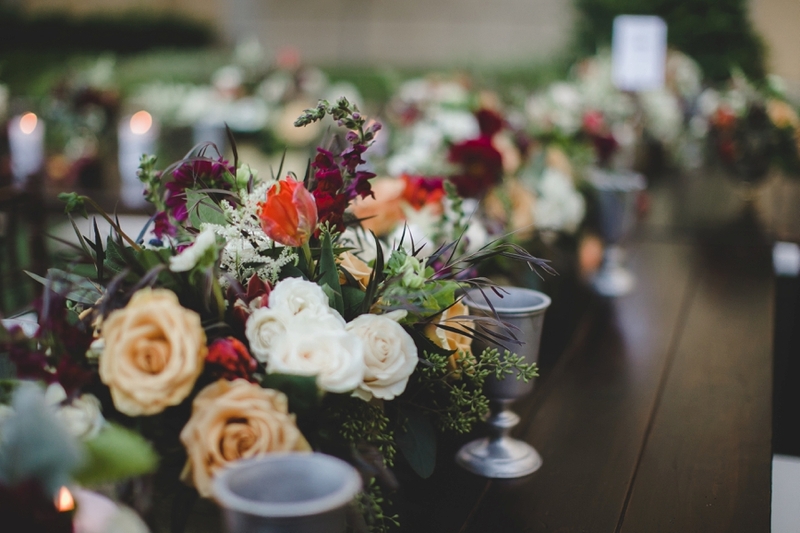 A beautiful and creative way to direct guests to their table. Assigned seating with style as guests names were displayed inside a large golden frame and pinned to a mossy back drop. While staying with the theme and look this was much better than just a standard board for guests to view. With a mix of linens and alternating height in centerpieces, the minds palette was very entertained and refreshed. While encased in a beautiful green garden area surrounded by the lovely Hilton, Scheme Events organized and planned to challenge the traditional one linen and layered multiple coordinating decor and colors that complimented each other nicely. The floral complimented this look and had a very dreamy and stylish look. As every area wrapped around a massive fire pit that helped keep the guests warm at night and also became a beautiful focal point leading right to the stage for the band. Bistro lights strubg from one end to another meeting in the middle, gave an enchanting and romantic glow of warm light to gaze upon. Lighting is so important and most times over looked or never mentioned until guests are sitting in a dark rook or outdoors. When working with a professional Wedding Planner you are sure to have your Wedding looking the best and most flattering to your eyes. Light is everything, without it ll your beautiful flowers and decor sit in the dark barely recognized or noticed. Here is a nice vantage point of those beautiful bistro lights and the effect they have on this lovely outdoor Wedding Reception. I cant imagine the difference and less impact it would have without them. 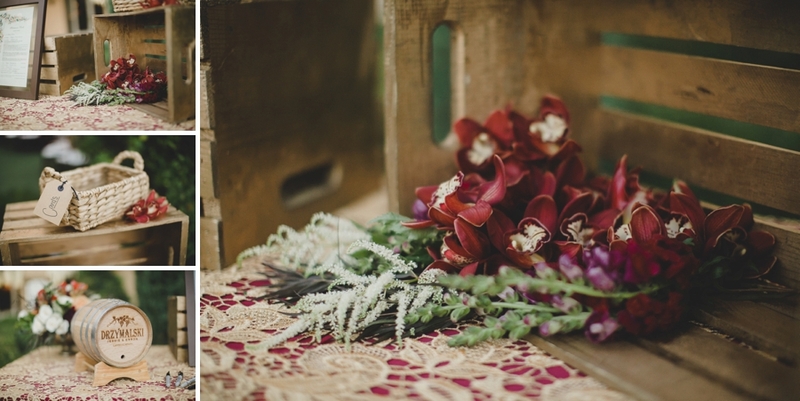 A beautiful view of the lovely planning and detail that went into this Wedding Reception. LED Unplugged have amazing bistro lights that light up in such an elegant way any reception Ballroom. 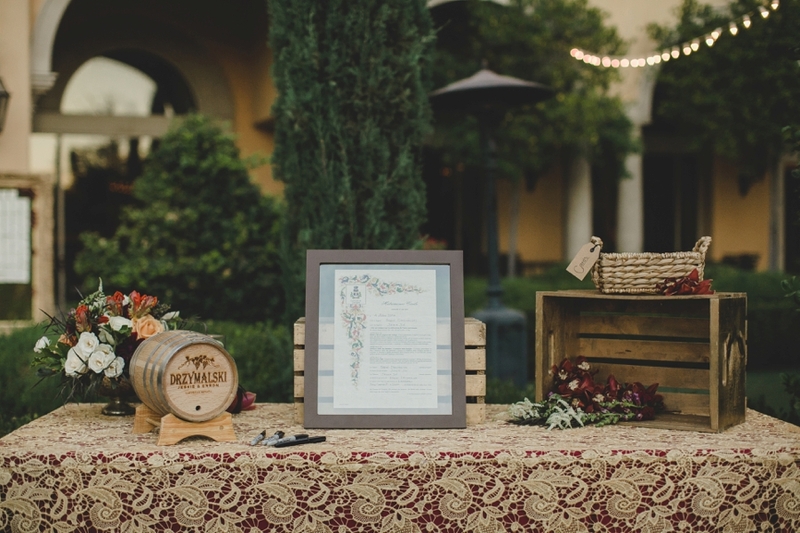 Talk about a beautiful way to eneteratin guests and family during your Wedding.